This Church is amazing. Has so many shapes, 2 crosses, 2 doors and plenty of character. At the moment I can’t get enough of these local buildings. Enjoy. Today I am also adding a video below – given it is Friday. It is a music video of one of my Favorite artists and probably one of the only South African artists I listen to. His name is Arno Carstens. Crazy that even though I am from South Africa, I was never mad about many local artists. He changed that though. Great video shot in NYC, coll video and great lyrics. Check it out and check out his other videos too. You got that right. thats a worthy subject. Wish it was near me, so I could work it over good. I like your effects treatment as well. brilliant effects !! love the doors !! Lovely photo and love the video too….shall surely look him up. Now that is something else – interesting church. I love the shape of it, homely, comforting, solid look about it, serene… The music is good, too. Don’t know this artist – so, thanks for the introduction. Very cool guitar! Gorgeous shot…and thanks for the intro to Arno Carstens–he’s great! 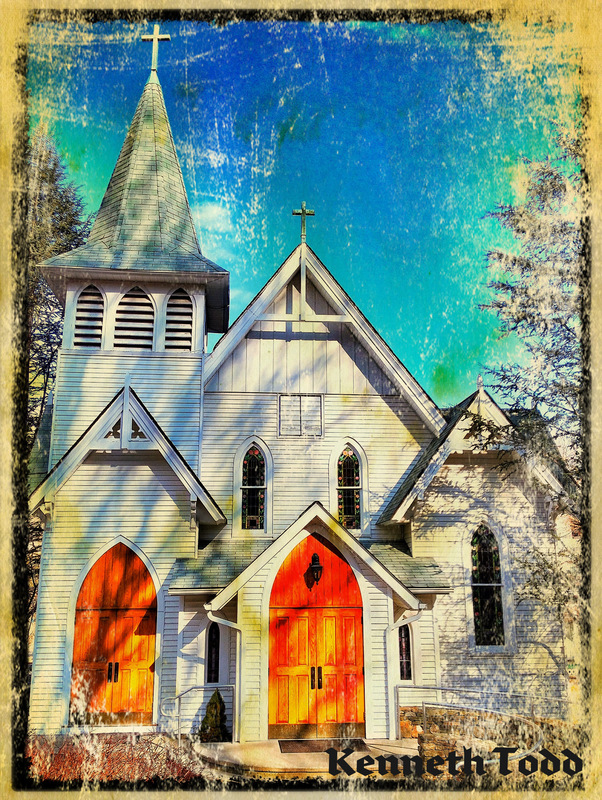 That is one awesome looking church and I like the old look and feel of the photo. Very unique architecture and I love the special effect – looks like an old worn out post card. The video is very pleasing to the eye (I mean ear) as well. Great idea mate. Cool blog. I like the idea of your blog, feb 10th is my b-day and I love that this is the picture you have for this day, it’s gorgeous! Thanks and glad the 10th was something good then. Thanks for visiting. Wow, that Double Cross Church is so special in my eyes.